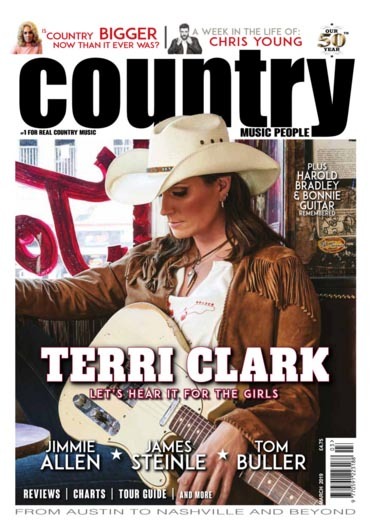 Country Music People is the world's longest running and most respected country music magazine in the world and is published monthly. It gives you the world of country music from Austin to Nashville and beyond. For almost 50 years it has delivered the inside stories on country music’s hottest stars and in October 2011 celebrated its 500th issue. Country Music People is also a two-time winner of the coveted CMA (US Country Music Association) Wesley Rose International Achievement award for outstanding contributions to the promotion and development of country music internationally. Covering the latest country music news, the hot new releases, as well as older classics and favourites, it is the specialist expert on country music - past, present and future. CMP gives you the world of country music: New Country, Roots, Honky Tonk, Americana, Traditional, Acoustic, Country-Rock, Old Time, Bluegrass, NashPop, Cowboy, Rockabilly, Western Swing, Singer-Songwriter, Alternative... The biggest stars, the hottest buzz, and the best music - Country Music People is the passionate fan’s all-access pass to everything country!